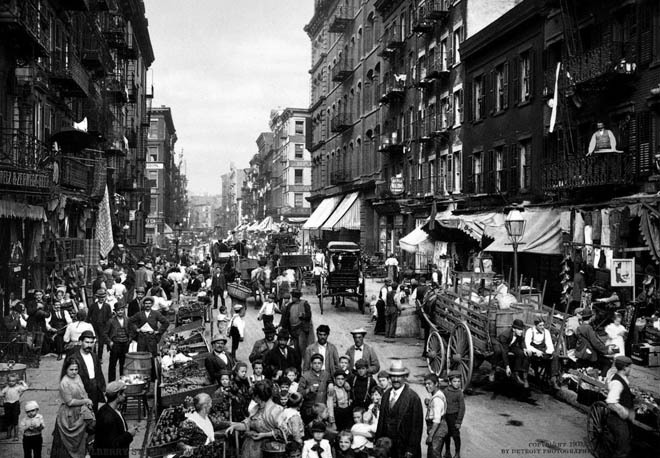 Curbed: Instead of overflowing with vendors and markets as it was in 1900, Mulberry Street today is overflowing with traffic. 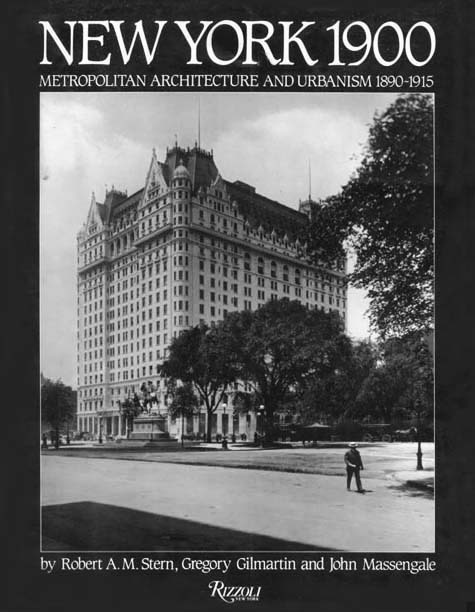 Curbed: This old photo, taken in 1918, is impossible to recreate today, as the Helmsey Building sits on the property. The 1918 photo shows Victory Plaza, which was created on Park Avenue north of Grand Central between 45th and 50th Streets. The pyramid is made of thousands of captured German helmets. 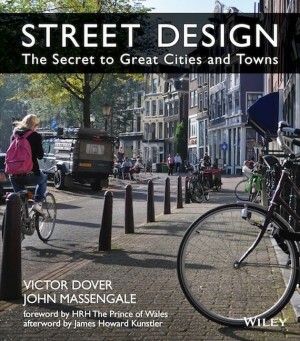 Figure 4.82 from Street Design: Before Organized Motordom claimed control of the public realm in our towns and cities, there was a popular tradition of putting monuments in the street. This postcard shows the Dewey Arch and colonnade, built to commemorate Admiral George Dewey’s victory in Manila Bay (designed by Charles Robinson Lamb in 1898). Like the more politically correct Washington Arch erected on Fifth Avenue in 1889 to commemorate the Centennial of George Washington’s New York inauguration, the Dewey Arch was built of “staff,” a plaster mixture that could be molded or trowled on, but that looked like stone when it dried. 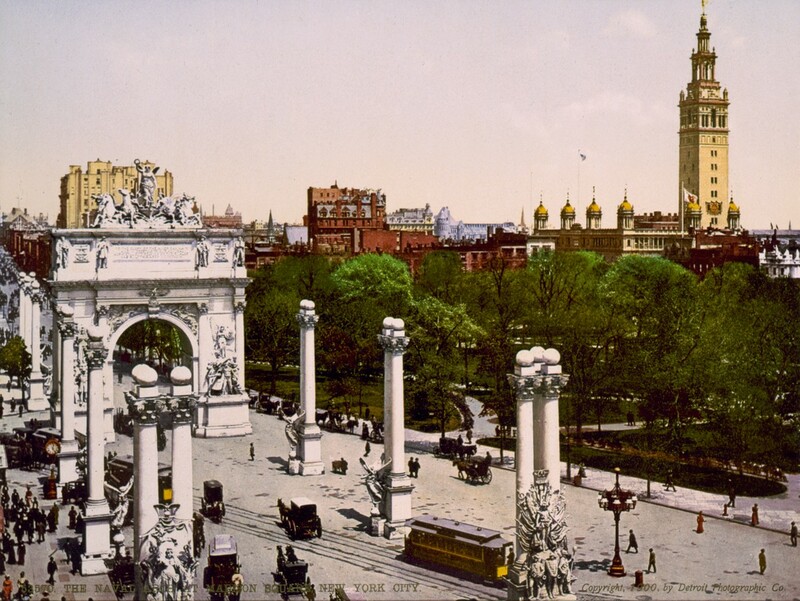 The Dewey Arch, which had contributions for a number of well-known sculptors, lasted less than two years. 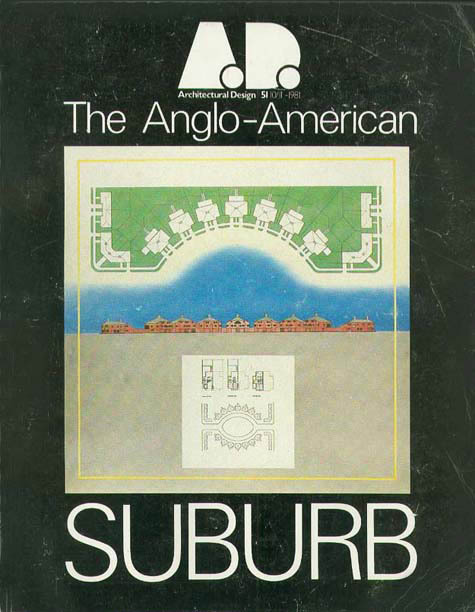 This entry was posted in Architecture, Classical, Culture, Good Kind, New York, Pedestrian, Slow Streets, Street Design, Urbanism. Bookmark the permalink.